William Theodore "Teddy" Stephens, age 63, husband to Lana Miller Stephens, passed away, Monday, April 1, 2019 in Lexington, Kentucky. He was born in Harrison County Kentucky on June 17, 1955 to the late William Howard "Willie" and Frances Duncan Stephens. Teddy worked as a heavy equipment operator at Pickett's Excavating Company. He enjoyed fishing, riding his ATV and gardening. 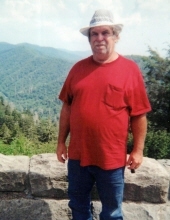 In addition to his wife, Lana, he is survived by his son, William Todd (Stephanie) Stephens of Shelbyville, Kentucky, daughters, Ashley (Barry) Hibbard of Sadieville, Kentucky, Makaya Stephens of Georgetown, Kentucky and grandchildren, Abby Hibbard, Kaylee Inman, Kenna Inman, Graham Stephens, Bella Hibbard, Henley Stephens and Drake Hibbard. He is also survived by his brother, Gene Stephens (Mary Hughes) of Georgetown, Kentucky, sisters, Anne (Mike) Northcutt and Susan Stephens, both of Sadieville, Kentucky and several nieces and nephews. Visitation for Teddy will be Thursday, April 4, 2019 from 5 to 9 at Tucker, Yocum & Wilson Funeral Home. Funeral services will be 1pm on Friday, April 5, 2019 with Rev. Randy Gregory officiating. Burial will follow the service at Georgetown Cemetery with pallbearers being, Russell Denny "Pewee", Hubert Caudill, Gary Thomas, Matthew Stephens, M.G.Northcutt and Bobby Cotton. Honorary bearers will be Ben Rankin, Eddie Harbour, Rich Thompson, Ray Taulbee, Clarence Lee, Mike Northcutt and Ryan Johnson. 1500 Rosecrans Ave., Suite 200, Manhattan Beach, CA 90266. To send flowers or a remembrance gift to the family of William Theodore "Teddy" Stephens, please visit our Tribute Store. "Email Address" would like to share the life celebration of William Theodore "Teddy" Stephens. Click on the "link" to go to share a favorite memory or leave a condolence message for the family.